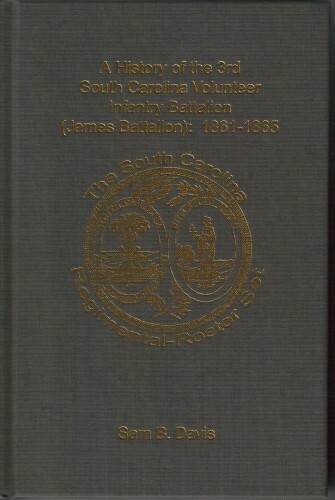 BTC’s Take: A History of the 3rd South Carolina Volunteer Infantry Battalion offers readers a detailed unit history and an equally detailed roster of the 3rd South Carolina Battalion. Sam Davis’ text combined with the plethora of maps and illustrations makes this one of the better entries in the South Carolina Regimental-Roster Set to date. Readers collecting all of the books in this set will find in this book a first rate military history of the James Battalion. Those who have ancestors from the James Battalion will want to own the book for its detailed roster as well. If you are interested in trying one book from the series, this would be a fine place to start.